Yesterday, at the Morikami Museum, it was bustling. Mid-day on a Tuesday, people were mingling in the Museum Store, checking out the Jun Kaneko exhibit with its massive pieces, curiously poking around the library and meandering through the gardens. But I really knew it was cooking — literally — by the line at the Cornell Cafe. By 1:30 p.m., there was a wait for sushi, iced green tea and teriyaki anything. One of the longtime staffers explained the crowds to me in three words, “It’s season, baby!” The temperatures were leveling off to a moderate 70-degree range, the clouds were high, the sun bright and the humidity was low. If there was a snowbird, out of town guest or visiting family member, it felt like they all chose to stop by the Morikami that day. With our unseasonable cold, cold snap over, we’ve put away our leather jackets and boots and returned to our cotton scarves and flip-flops. January, February, March and April are when the museum pops with people. They are there for lectures, exhibits, classes, festivals… Next up, Valentine’s Day (Feb. 14) and Hatsume (March 20-21)! Just sitting in the lobby, watching them come and go, it’s really cool to see so many people taking in the beauty of the place. It’s season, baby; welcome, everyone! 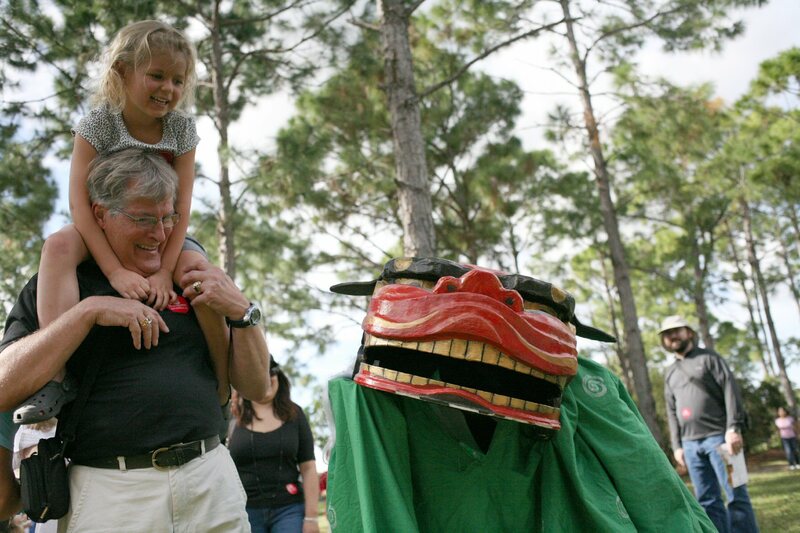 It's Season at the Morikami, which means lots of visitors!